Stretch out on the Tanglevale outdoor chaise lounge and your cares of the day instantly melt away. 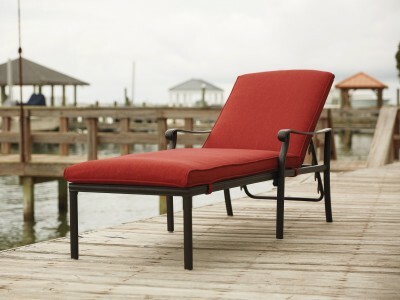 Nearly 7 feet long, the chaise is deeply cushioned from head to toe. 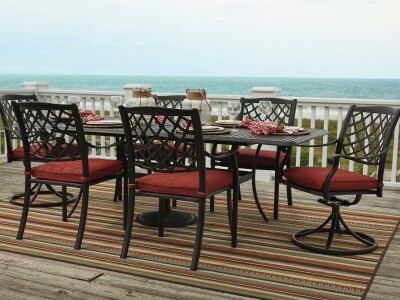 The high back reclines in five relaxing positions. 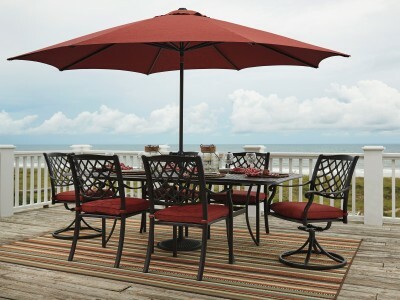 Classic latticework back and scrolling arms enhance the durable cast aluminum frame. High-performing Nuvella™ cushion secures to the chaise and stays bright through the changing seasons.